The dedicated and experienced criminal defense attorneys of DiGiulio Utley, LLC give personalized, aggressive and effective service to each client. The work ethic of our attorneys is impeccable and their results—a product of trial skills, adeptness at negotiations, and knowledge of the criminal justice system—speak for themselves. The criminal attorneys consult and communicate with their clients at every stage of their proceedings to ensure that they understand the legal process. The firm also ensures that no clients are uninformed or unsure of their situations. Ultimately, we do everything we can to leave our clients satisfied with their resolutions, whether they be dismissals, negotiated pleas or trials. If you are looking for personable, high-quality, and effective representation you will find it with the lawyers at DiGiulio Utley, LLC. Dylan Utley and Ariel DiGiulio offer experience, dedicated and compassionate representation of both adults and juveniles charged with criminal violations of the law. Mr. Utley and Ms. DiGiulio defend clients against federal, state, municipal and parish charges. These charges range from DWI matters to serious white collar and violent offenses in and around the Greater New Orleans area. 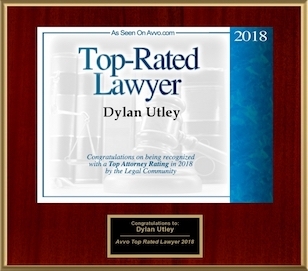 The attorneys of DiGiulio Utley, LLC have been recognized for their excellence in criminal defense by their clients as well as by their colleagues as evidenced in SuperLawyers, St. Charles Avenue Magazine and AVVO among others. Dylan Utley and Ariel DiGiulio became criminal defense attorneys because they care about people and want to assist people who are facing what might be the most difficult time of their lives. We will guide you through every step of the criminal process, scrutinize and investigate the allegations against you, analyze and determine your defenses, explain your rights, explain your best options, so that you know every aspect of your case and your defense. At DiGiulio Utley, LLC our primary practice area is criminal defense at the municipal, state and federal levels. We represent clients who have been arrested on misdemeanor charges, state charges, felony charges, drug charges, property and theft charges, DWI charges, federal charges, federal drug conspiracy charges, white-collar crime charges, (including pre-indictment through trial, federal target representation as well as witness representation) to name a few. If you have been charged or expect that you or someone you care for will be charged with a crime, call (504) 524-4080.